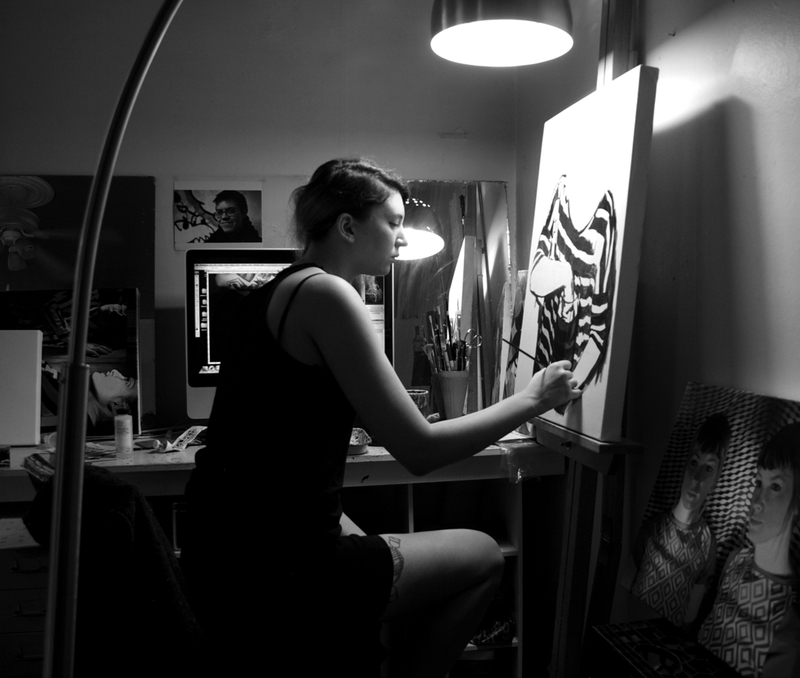 Photographer and Painter Rebecca Mason Adams uses he knowledge of photography and her love of films to influence the way she paints and lights her models and art. 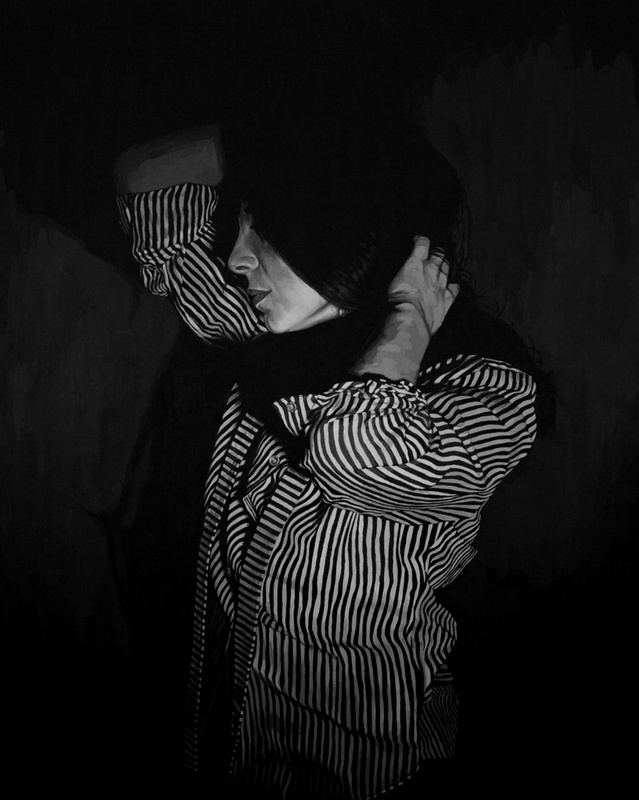 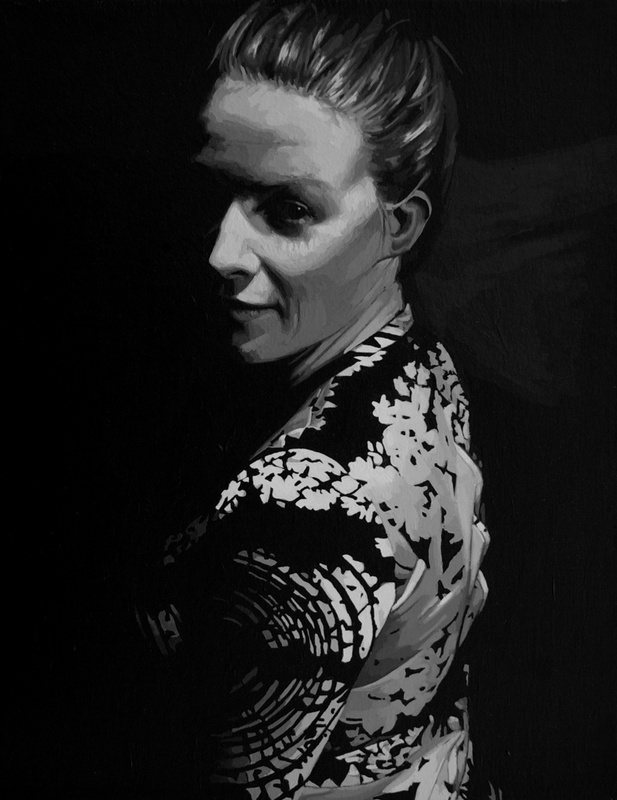 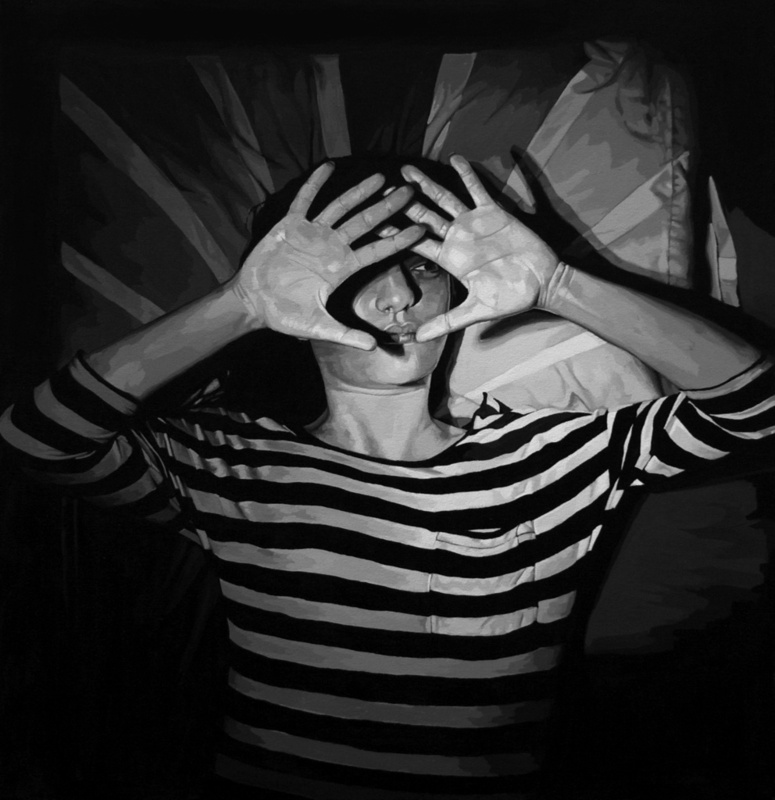 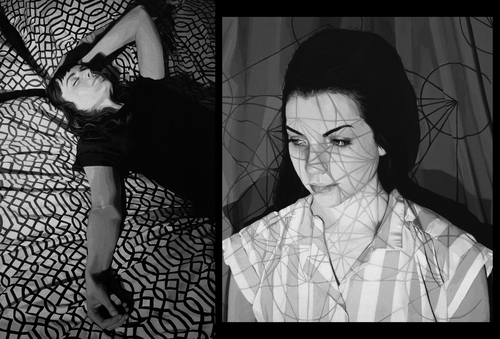 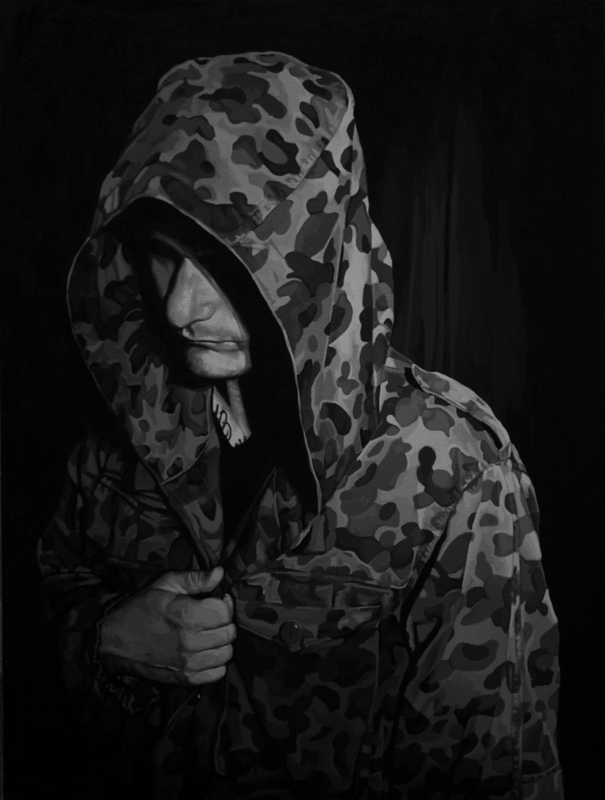 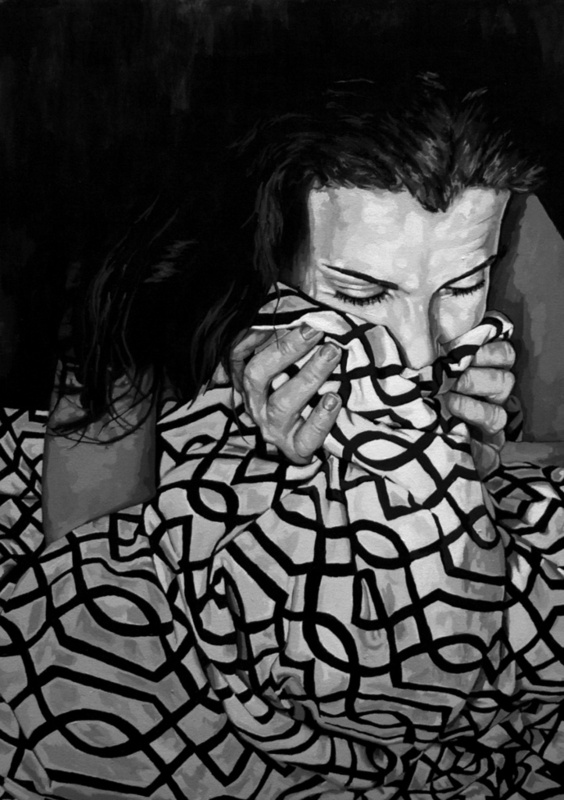 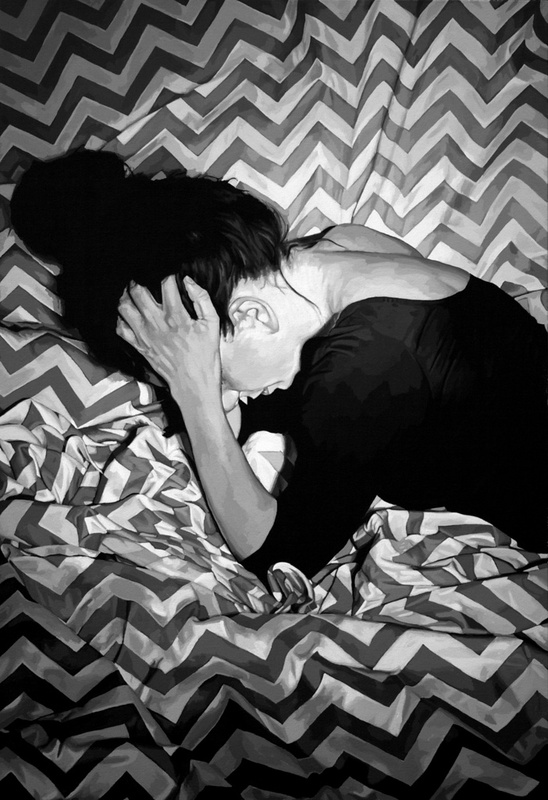 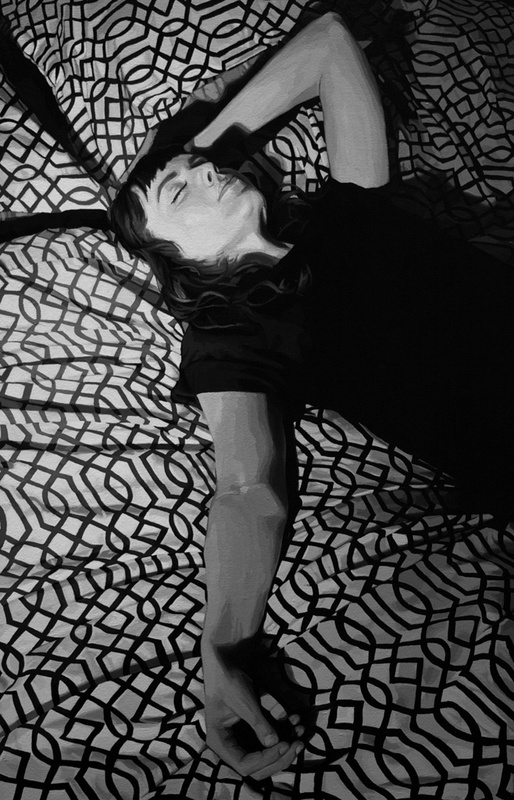 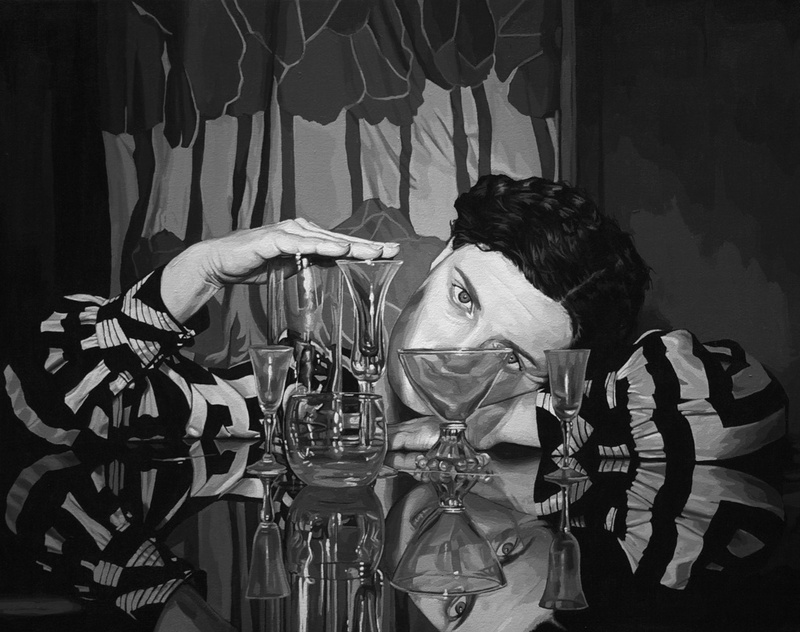 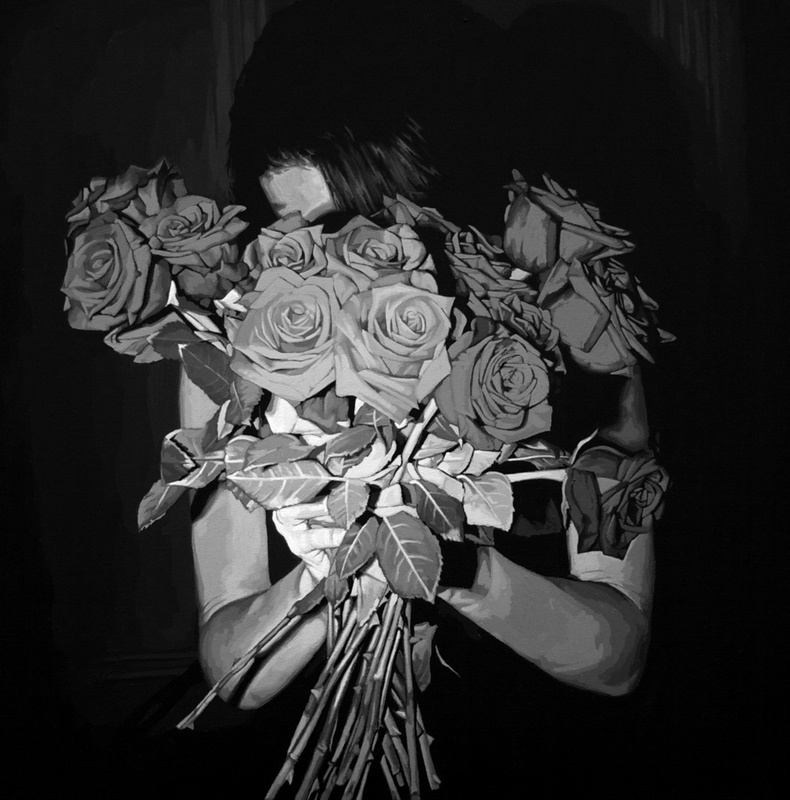 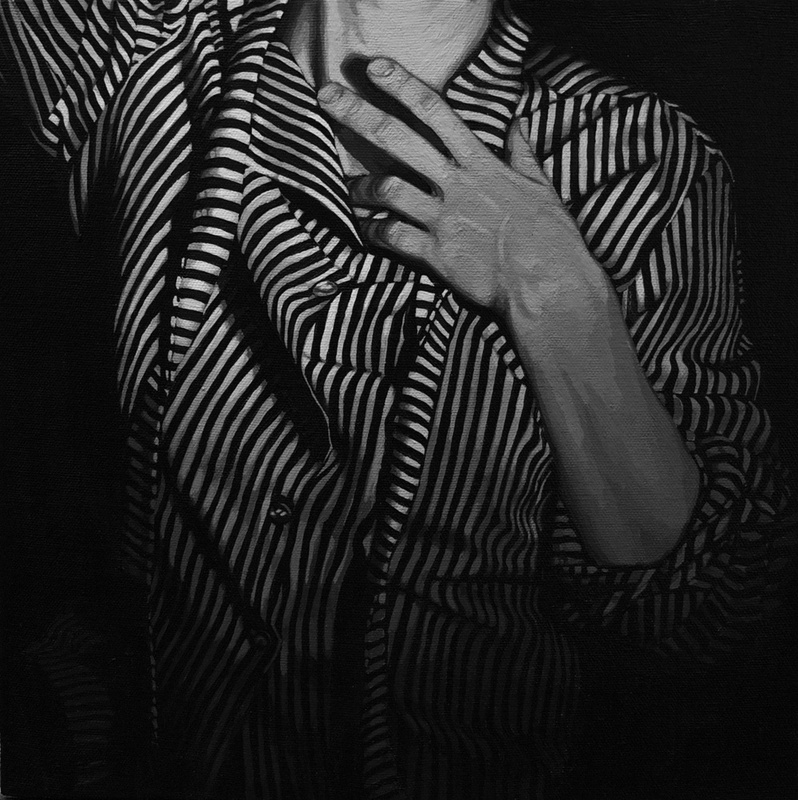 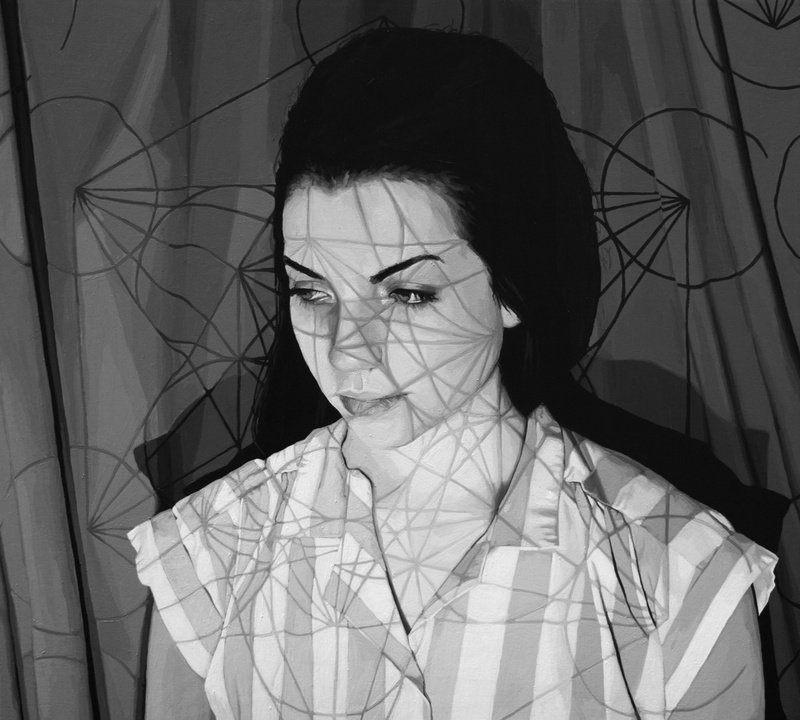 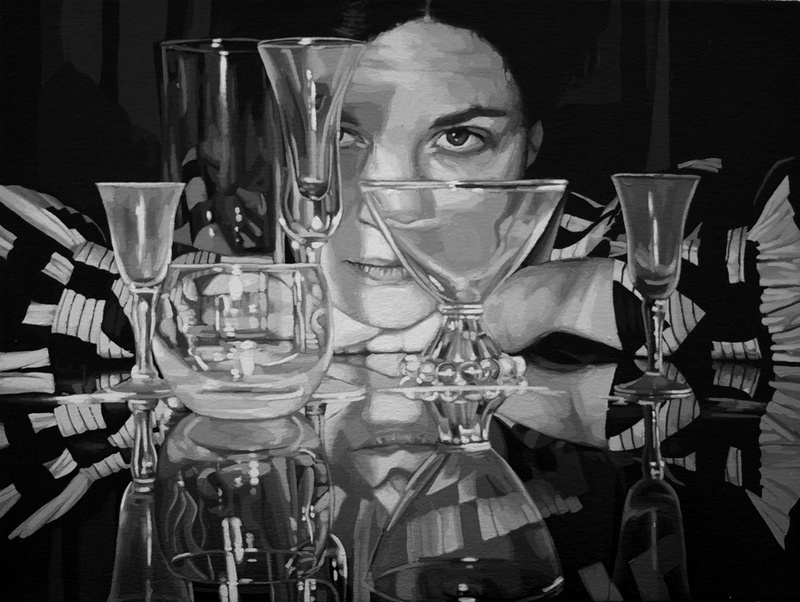 Her paintings are black & white and very stylised, like stills from a Film Noir. 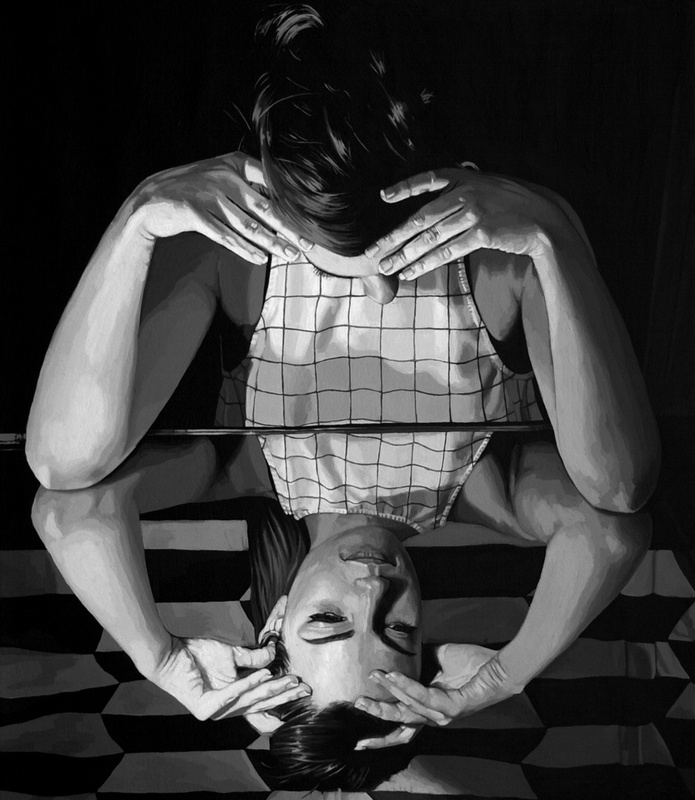 Another way in which Mason differentiates her self from other artists, is in the poses and angles she paints her models in, making her subject more interesting.